Author: Zachary Bosin, Senior Director of Product Marketing at BlueJeans. Microsoft Teams is the company’s fastest growing business app of all time. A messaging and online meetings solution, Teams simplifies connections and collaboration inside your organisation. BlueJeans brings modern, trusted, secure video calling to popular tools and services so people can meet from anywhere, from any device. By integrating their video conferencing platform with Teams, they’re helping tailor processes, increase teamwork and productivity. Now, Teams users with an active BlueJeans account can easily schedule and launch a BlueJeans video call directly from any Teams channel. The new BlueJeans Meetings Bot is making it happen. By installing the BlueJeans Meetings Bot in a channel, users can connect their BlueJeans account with their Teams account. 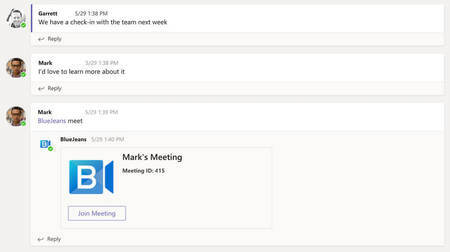 From there, they can create, join, and invite anyone to a BlueJeans meeting directly from any Microsoft Teams channel. Once the accounts are connected, users can invoke Bot commands to control their experience. For instance, want to know which commands the BlueJeans Bot will respond to? Simply type “Help” to see the full list. Want to create a personalised meeting room? Just type “Meet” to produce a link to your personal meeting room that can be shared with anyone. Logging in and out of the Bot is simple by typing “Login” or “Logout” to connect or disconnect your BlueJeans account to your Teams account. Meetings initiated using the Bot will launch the BlueJeans app with full video, Dolby Voice audio and collaboration capabilities. 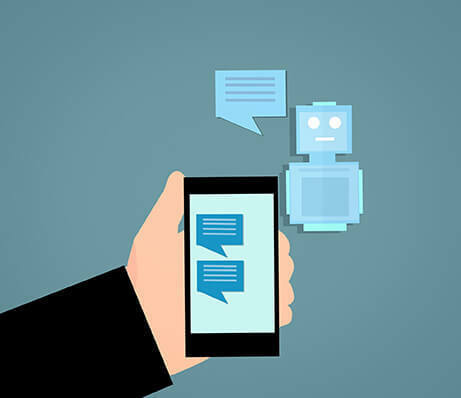 While the BlueJeans Meetings Bot lets users quickly escalate a chat conversation to a full-fledged video meeting, BlueJeans also provides added collaboration capabilities across the Microsoft ecosystem. The calendar add-in for Outlook and Office 365 brings one-click BlueJeans meeting scheduling and joining to the Outlook client or web app. To bring Microsoft collaboration to any meeting space, BlueJeans Gateway for Microsoft Teams connects Teams video meetings to existing conference room systems, regardless of hardware vendor. The Teams Gateway effortlessly connects people across board rooms, conference rooms, and huddle spaces to support exceptional video conferencing and effective online meetings, every time. To explore more about the Bluejeans bot or to meet with them at UC EXPO 2019, why not Register Free here?